That’s the show over for another year! 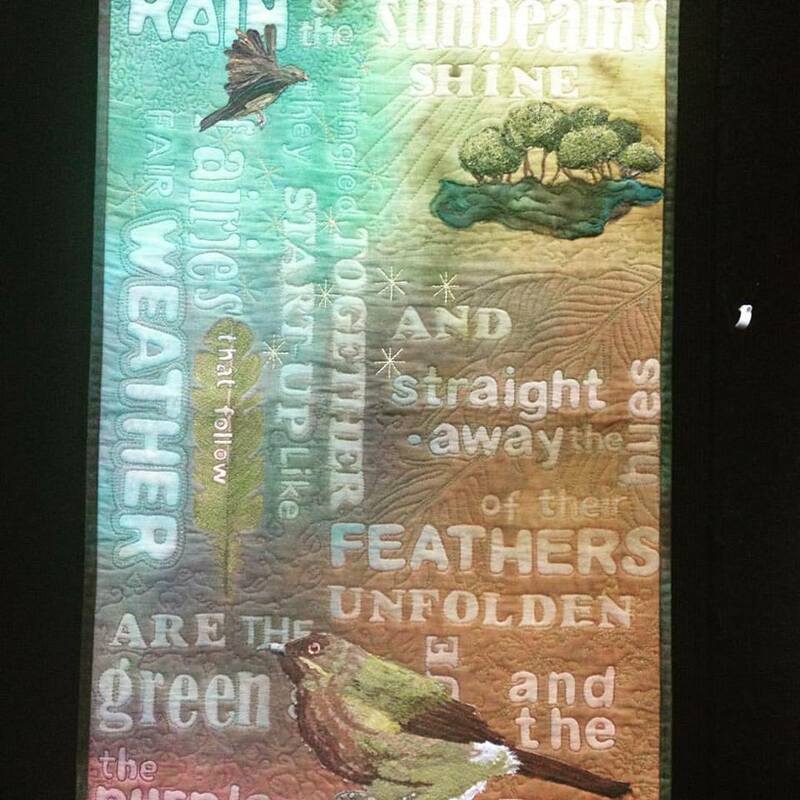 It was a fabulous show with many wonderful quilts executed exquisitely and beautifully – great to see an interesting collection of modern quilts there, my latest enthuse! 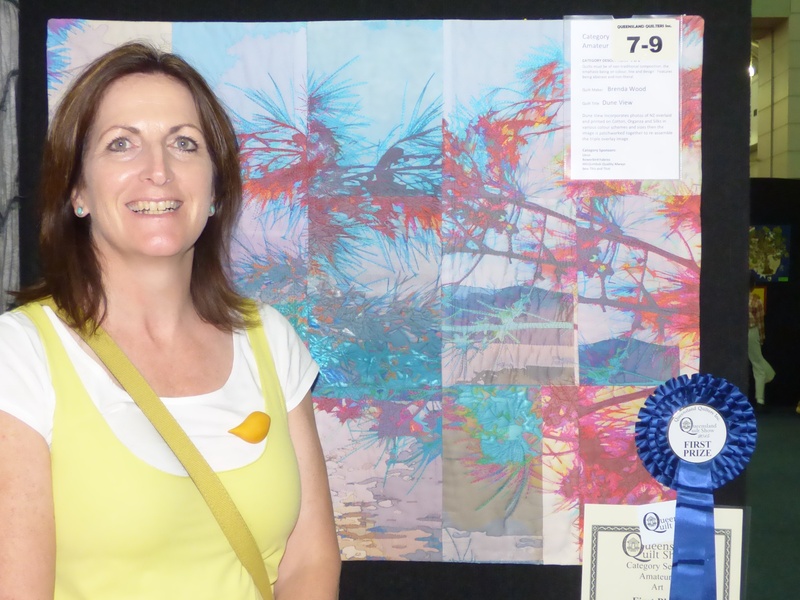 (more in another blog) I managed to take out the 2nd prize for Professional – Mixed techniques with this quilt, so you can imagine that was an exciting day! and Amateur Pictorial!!! 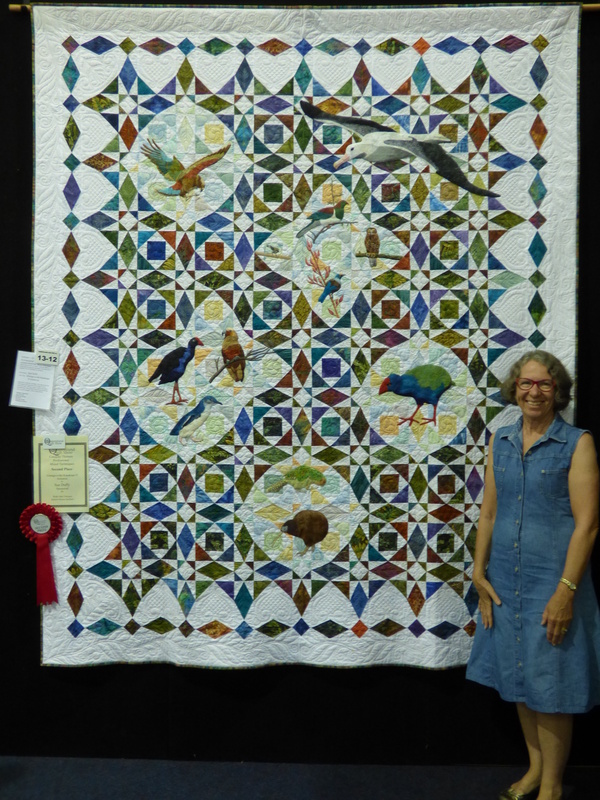 this one named “Bellbirds Too” was her remake (in a different design) of her Bellbirds quilt that was stolen from the show in 2013! We both went back to the Show yesterday to see all the quilts again – and the ones that we had not had time to see on our first visit. Such a good show, congratulations to all the wonderful hard working Committee and helpers who made it possible! Many many thanks, Ladies. 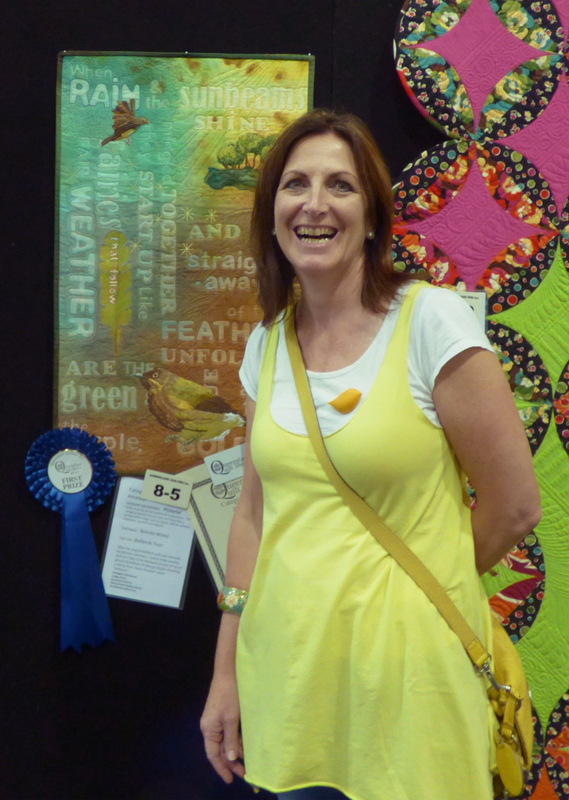 You can see all the winning quilts here: Queensland Quilt Show. Also a huge thank you to the sponsors of my prizes: Wabi Sabi Designs Find their website here, and Schoolhouse QuIlters here is their facebook page.